The data on your computer is very important for your business or personal use and that should be pretty safe and secured. All days are not the same, so if on a one fine day you system crashes due to some reason; your business comes back to the stone age. 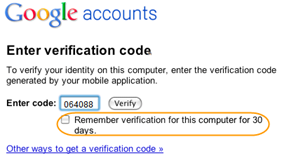 Think about that day and start protecting your data for a secured tomorrow. Once you schedule the backup timing, it will take the backup of the new files created after the last backup run. At the time of creating backup, it doesn’t take that much space which were taken on the machine. The data will be compressed and will take lesser space on the disk. 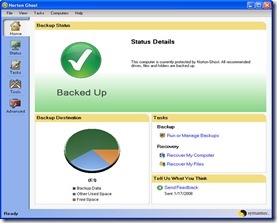 To restore the backup, you don’t need a bootable CD because Norton Ghost creates an on- disk software to recover the backup data. These are some key features of Norton Ghost 14, start protecting your data from today because you may need them tomorrow. one more important use of this software is that you can use it for copying the OS with some preloaded software to a brand new machine. That means, restore the data into some other machine. 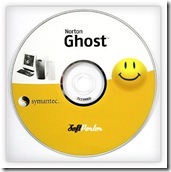 For example, if you don’t want to install the windows on your new machine, because it will take so much time, then copy the image of your older machine from the Norton ghost backup. Run the windows CD for detecting the hardware on your new machine otherwise imaged OS will not work properly on your new machine. Note: Norton ghost 14 can control the Norton Ghost 12+ installed on other machines of the same network in your office/premises.